TECH-RACE SERIES: INTERCOM KIT FOR OPEN FACE HELMETS WITH WIRE MOUNTED NEXUS CONNECTION Excellent insulation from external noise. High quality flexible microphone boom. Dynamic microphone with integrated noise reduction. 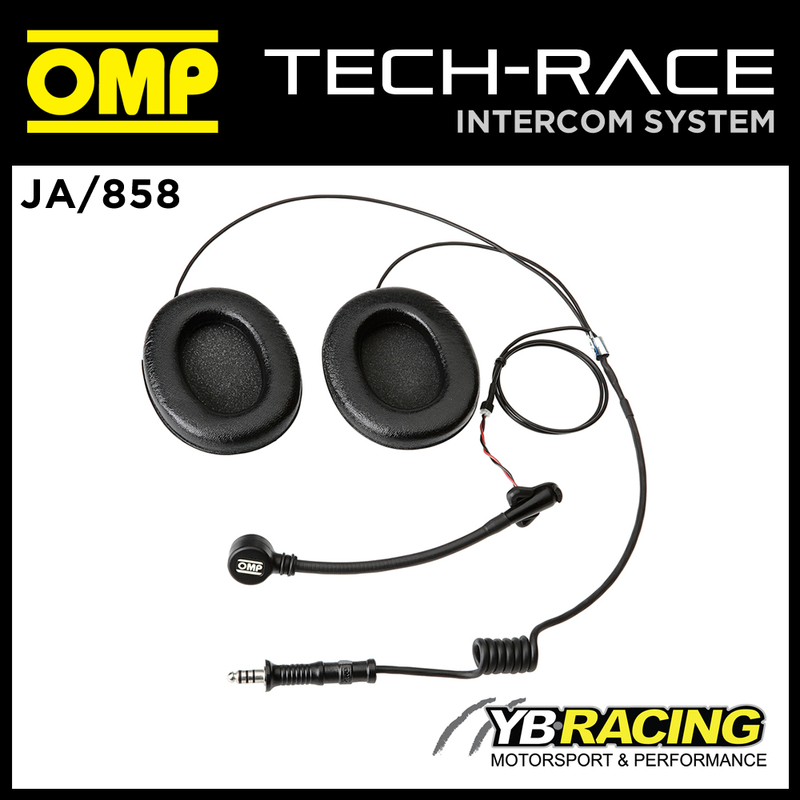 Designed to be used with TECH-RACE intercom JA/856, JA/856E, JA/876. Compatible with most intercom units. Description: TECH RACE SERIES: Updated Intercom kit for open face helmets with wire mounted nexus connection. Excellent insulation from external noise. Flexible microphone boom. Dynamic microphone with integrated noise reduction. 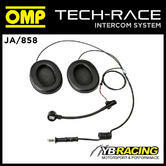 Designed to be used with OMP TECH-RACE intercom control box JA/856E. 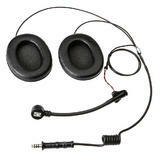 Compatible with most Intercom units on the market (adaptors may be needed). New components for improved noise insulation. Model: INTERCOM KIT FOR OPEN FACE HELMET WITH NEXUS CONNECTION.